When it comes to construction, it is important to find a material that will best suit the house. 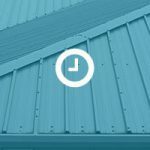 There are a lot of different choices when it comes to materials for your roof, but you need to find one that you will be comfortable with. 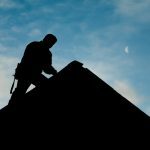 As well as looking good, you need to ensure that the roof you are building is going to last for a long time. Durability is especially important when you consider how unpredictable the weather can be. 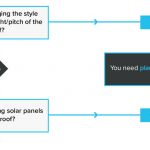 As a result, the weather may even influence the kind of roofing that you are looking for. 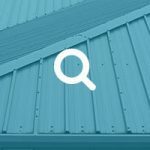 It is therefore best to take a good look at your choices and find out how each metal can help you in constructing the perfect house or building. There are a number advantages with lead when it comes to sealing things like leaks. Lead is also one of the more durable metals out there. It will therefore last a long time and add to the overall quality of your home. No matter the atmospheric temperature, lead roofing will manage to withstand a lot of it. Cracks and melting will not be a problem whether winter or summer. One of the great things about copper roofing is that it is a lightweight material. This means that it is also very easy to work with. A lot of people like the fact that it is a flexible material. As a material it is also quite beautiful and has been used on the top of churches and synagogues. Another advantage to having this type of roof is that you will not have to worry about mildew, mould and other problems. If you decide to use zinc then you will know that you are making a large investment. With this type of metal, corrosion is resisted naturally. This is something that will help to add to the overall durability of the material. In Europe this happens to be one of the most popular types. Around seventy percent of roofs in Europe actually have zinc as a roof or rainwater goods. Like a lot of the other types of roofing, stainless steel roofing is known for being a long-lasting material. As a result, it is also widely used in a lot of homes and offices across the country. One of the best things about this type of material is that it can look really good. Many people like to add it to their buildings because it can give them a sleek, modern look. Stainless steel is probably a common sight for many people who spend time around the central business districts of various cities. Another great thing about this is that there is very little maintenance involved. 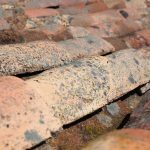 You do not have to worry about patching up the roof too often. High mechanical performance means that this type of roofing is going to last you a very long time. As a result, it is certainly a good investment to consider if you are thinking of building a home for yourself. 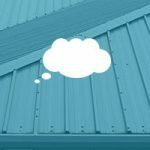 Any type of metal roof is going to require strong thought. You want to make sure that your home looks good. 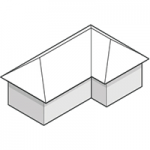 You therefore want to take the time to look at the different characteristics of various roofs and find out what the best one is. 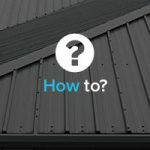 When it comes to your roof, it is always a good idea to consider quality. This is one part of your home that is going to protect your from the elements. The material it is composed of will also add to the overall value of your home.